For the first time in their program’s history, the Lipscomb men’s basketball team is going to the Big Dance. 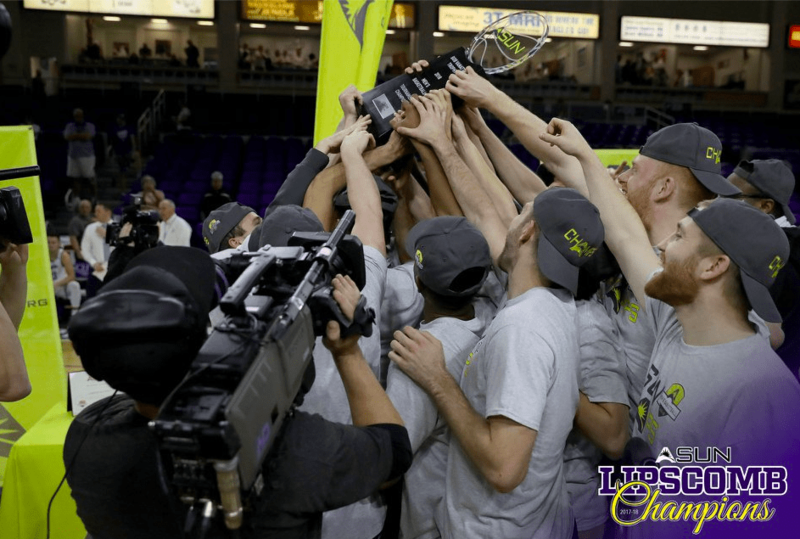 The Bisons secured an automatic bid to the NCAA Tournament on Sunday with a 108-96 win over FGCU in the Atlantic Sun Championship Final. The game, televised on ESPN, saw 2 seed Lipscomb lead by 29 points at the half on the FGSU home court in Fort Myers, Florida, but 1 seed Florida Gulf-Coast made a run and cut the lead to five with 6:55 left in the game. In the end, the Bisons were too tough as point guard Kenny Cooper hit six free throws down the stretch to seal the championship. Cooper, a sophomore guard, had 17 points and nine assists for Lipscomb. Matt Rose scored 14 points and Eli Pepper 13 for the Bisons as they ready for their first taste of March Madness in the Big Dance. Lipscomb is a private liberal arts Christian school located in Nashville, Tennessee. Their sports program moved up from NAIA to Division 1 in 2001 and came very close to making the NCAA tournament in 2006 when they reached the ASUN Final before losing in overtime to rival Belmont. The Bisons will wait for Selection Sunday March 11th to see where they end up in the NCAA Tournament bracket. The full 68 team field will be announced on TBS at 6pm ET Sunday evening.